Merriam-Webster.com defines angst as a feeling of anxiety, apprehension, or insecurity. It is worth noting that underneath this on-line definition of angst is the use of the noun in the phrase – teenage angst. You begin to get the full picture of what can be a debilitating struggle when you look at the medical definition of anxiety from the same source: an abnormal and overwhelming sense of apprehension and fear often marked by physical signs (such as tension, sweating, and increased pulse rate), by doubt concerning the reality and nature of the threat, and by self-doubt about one’s capacity to cope with it. Having some anxiety is a normal human condition. In fact, nearly everyone can recall the feelings and sensations that happen in your mind and body right before an important test, job interview, performance or presentation. Low levels of anxiety often help you to focus and perform at a higher level. It is when anxiety becomes overwhelming that the medical diagnosis of “Anxiety Disorder” may become a reality. According to the Anxiety and Depression Association of America (adaa.org), anxiety disorders are the most common mental illness in the U.S., affecting 40 million adults in the United States age 18 and older, or 18.1% of the population every year. Even more alarming is the fact that these disorders affect 25.1% of children between 13 and 18 years old. Research shows that untreated children with anxiety disorders are at higher risk to perform poorly in school, miss out on important social experiences, and engage in substance abuse. The good news is that anxiety disorders are highly manageable with a host of treatment approaches available including talk therapy, medications, and family, school and community support. CareNet Counseling of Kernersville wants to help raise awareness about anxiety disorders and the fact that they are real, common and treatable. We will be screening the Indie Flix documentary “Angst” (www.angstmovie.com) in Kernersville during two separate events on Monday, April 29. 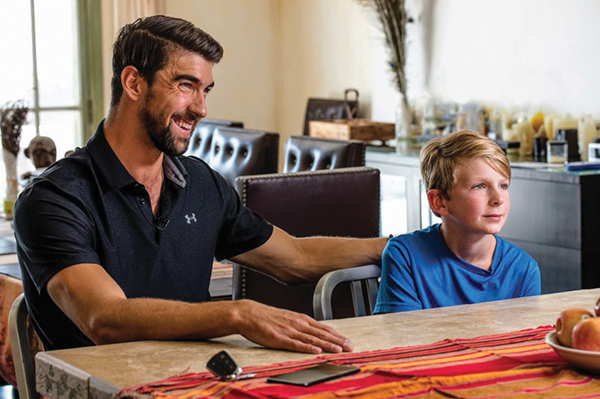 The first event is a “lunch and learn” for adults at the Ciener Botanical Gardens from 11:00 a.m. until 1:30 p.m. We will screen the 55-minute movie, which includes a segment with Olympic swimmer Michael Phelps, and host a panel discussion for questions and further information after the movie. The panel will include experts on the topic from pediatrics, pediatric psychiatry and therapists who work with children, adolescents and adults. carenetcounseling.networkforgood.com/events/11204. Continuing education credits are available for professionals at an additional fee. Registration is limited. In the evening of the same day, we will host a viewing for adolescents and adults (ages 10+) at Main Street United Methodist Church from 6:30 – 8:30 p.m. This event is free to the community. For information about either of these events please contact Barbara Saulpaugh, Regional Director for CareNet Counseling at bsaulpau@wakehealth.edu or at 336.716.0854. If you or someone you know is feeling anxiety, it is important to tell a family member, friend, teacher or counselor. Reach out to someone who can help, and in an emergency call 911, or text the Crisis text line 741741. CareNet Counseling of Kernersville is a community mental health counseling center affiliated with Wake Forest Baptist Health. Two private offices are located across from the Chapel at Main Street United Methodist Church. Two professionally licensed counselors are there to serve clients from all walks of life: Dr. Richard Horn, LMFT (Licensed Marriage and Family Therapist) and Carleton Irving, LPC (Licensed Professional Counselor). Our professional counselors are trained to help clients use all of their strengths to help them heal from struggles they may be experiencing, whether physical, psychological, social or spiritual. We accept many forms of commercial insurance and Medicaid. Our local advisory board made up of leaders and volunteers from Kernersville, assures that funds are available to help clients that are uninsured or underinsured (with high deductibles and co-pays) or otherwise do not have the ability to pay. To make a first-time appointment for counseling, please call 336.716.0855. Visit us at carenetnc.org/piedmonttriad.